With less than 24-hours remaining until the start of the 2014 NBA Draft, we thought we’d give it a go with our own mock draft for your consumption. Note that we are only going out to the first eight picks, but we offer some predictions along with “fan hope” that the Bucks might be able to deal up for a second selection in the “Elite 8”. Before we begin, if any of you are in New York City for the Draft, be sure to hook up with your fellow Bucks fans tomorrow night to present our team loud and proud at the Barclays Center. Our spokesman Paul Henning left Milwaukee this morning to attend his first draft in person and we understand there are a few more of you on your way there. 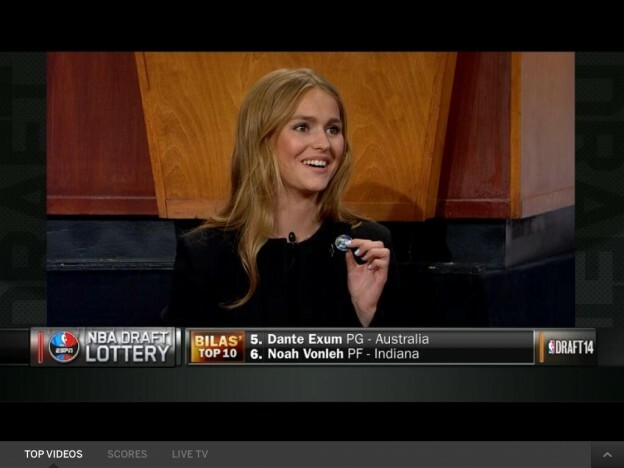 For those that have never attended an NBA draft before, it is a great ‘bucket list’ event for hard-core NBA fans. Now onto the Mock Draft 1.0 ! This entry was posted in Articles and tagged 2014 NBA Draft, Andrew Wiggins, Dante Exum, Jabari Parker, Joel Embiid, Larry Sanders, Milwaukee Bucks, Paul Henning, Save Our Bucks, Wes Edens on June 25, 2014 by SOB Editor. 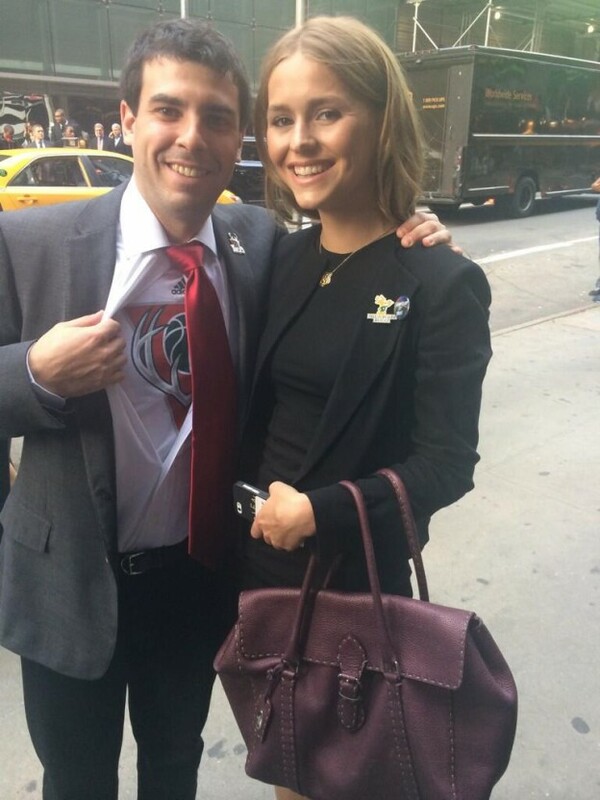 Bucks Fans — Your Draft Angst is Over! You know you felt it deep down inside. Just admit it. Would the Bucks make the right selection with the #2 overall pick next Thursday? What if they took Jabari Parker and he didn’t pan out as expected, while Andrew Wiggins became a star with Philadelphia? Or Cleveland shocked the NBA world and selected Wiggins, leaving the Bucks to make a decision on Joel Embiid and his back? Or the Bucks passed on Parker and he became the next Grant Hill, while Wiggins struggled with becoming the next Gerald Green. Those are natural thoughts and all part of being a fan of a team that hasn’t had much luck or made many right decisions over the past two-decades. As many of you now are aware, Joel Embiid is having surgery tomorrow for a navicular fracture in his right foot. The injury was discovered by Cleveland doctors examing his films after he worked out for the Cavaliers last week. The general consensus from the internet news reports tonight is that the surgery has a 4-9 month recovery time, has a decent chance of recurring and is harder for big-men to recover from given the large amount of mass they carry as compared to smaller players such as guards or small forwards. Here are some answers to common questions stemming from the Embiid news. This entry was posted in Articles and tagged 2014 NBA Draft, Andrew Wiggins, Dante Exum, Jabari Parker, Joel Embiid, Milwaukee Bucks, Save Our Bucks on June 19, 2014 by SOB Editor. More Chad Ford Analysis and SOB Draft Party! We’ve noted in the past that we do not view this site as your daily source of Bucks news, as there are many other great outlets that cover events on a daily basis. However today we stumbled upon a nugget that Bucks fans may want to check out — a podcast interview just completed between ESPN Draft analyst Chad Ford and David Locke, the radio voice of the Utah Jazz. The podcast link and some interesting nuggets contained therein are discussed below. This entry was posted in Articles and tagged Andrew Wiggins, Chad Ford, David Locke, Jabari Parker, Joel Embiid, Milwaukee Bucks, Save Our Bucks on June 18, 2014 by SOB Editor. 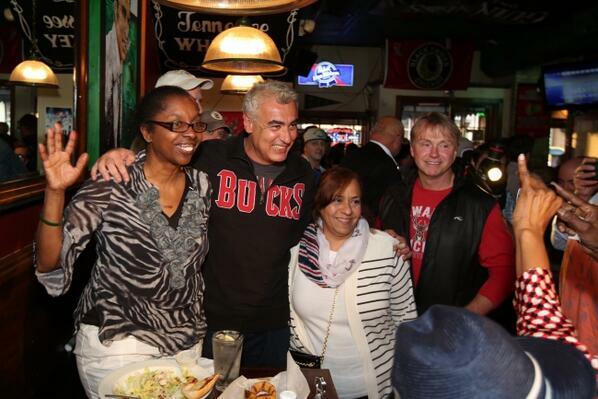 Last week was a great time for all Bucks fans as new owners Wes Edens and Marc Lasry made the rounds, talking about themselves, the Bucks and their plans for the future. Frank Madden at Brewhoop has a nice summary of some of the sportstalk radio interviews. They are worth listening to if you have not already. This entry was posted in Articles and tagged Andrew Wiggins, Herb Kohl, Jabari Parker, Joel Embiid, Marc Lasry, Mark Cuban, Milwaukee Bucks, saveourbucks.com, Seattle Sonics, Steve Ballmer, Wes Edens on June 5, 2014 by SOB Editor. 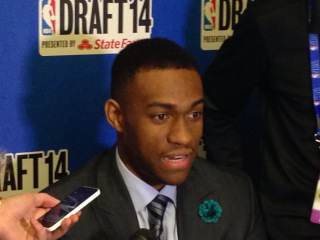 It was a wonderful evening for Bucks fans last night as the team secured the #2 pick in the upcoming draft. While we all would have liked the team to secure the top pick, remember that the alternatives were drafting #3 or #4. With the second pick the Bucks have a number of great options to explore between now and the NBA Draft on June 26th. This entry was posted in Articles and tagged Andrew Wiggins, Bill SImmons, Dante Exum, Jabari Parker, Joel Embiid, John Hammond, Marc Lasry, Milwaukee Bucks, Save Our Bucks, Wes Edens on May 21, 2014 by SOB Editor. The NBA lottery has been run and won with the Cleveland Cavaliers once again winning the #1 pick in the upcoming NBA draft. The Milwaukee Bucks, despite entering the lottery with the highest chance at the first pick fell to second overall, with the Philadelphia 76’ers ending up with the 3rd pick. This entry was posted in Alert and tagged Andrew Wiggins, Cleveland Cavaliers, Dante Exum, draft lottery, Jabari Parker, Joel Embiid, Milwaukee Bucks, Philadelphia 76'ers, Save Our Bucks on May 20, 2014 by Webmaster. Guest blogger Paul Henning gives his thoughts on the lottery. The time has come for the Milwaukee Bucks to find out their fate. The Bucks find themselves in an envious position as we head into the 2014 NBA Draft Lottery, which was not a sentiment they felt at all during the actual 2014 NBA season. In so many ways this Bucks season was the exact opposite of perfect. But the opportunity for a franchise player makes it all worth it at this point. The season was wrecked without even having a chance to get started. The Bucks once again found themselves to be the ridicule of the league and a game on the schedule that every team penciled in a W for. This was not a new feeling for this team or its fans. Exasperated and destitute a sizable number of Bucks fans banded together to put up a billboard giving the team a public endorsement at investing in the draft lottery for the first time in a decade. Far too long had short term goals outweighed long term investments. Tired of being the dreaded “treadmill” team, bottoming out was the only way back to the top. The thing that kept us going was the faith or hope that there would be a point to everything we had collectively gone through. This season was a journey and I’m proud of all the fans that kept going to games and supporting the team and Save Our Bucks. Thank You. This entry was posted in Articles and tagged 2014 NBA Draft Lottery, Andrew Wiggins, Dante Exum, Jabari Parker, Joel Embiid, Milwaukee Bucks, NBA draft lottery on May 20, 2014 by Paul Henning. We thought we’d use the retirement of David Stern to examine one of his legacies, the NBA draft lottery. 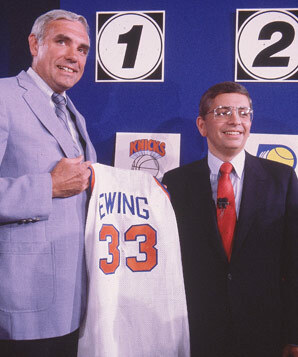 The lottery was created by Stern thirty years ago as a response to the Houston Rockets engaging in “tanking,” in an effort to obtain the #1 overall draft pick. In Part I of this article, we are going to address why the lottery was created, why “tanking” isn’t a dirty word, and how smart franchises use the draft lottery to their advantage. Part II will examine some of the tanking controversies created this season, and offer suggestions on how to correct them. (Editors note: We are going to put a number of terms in this article in quotes, due to them still being “controversial” depending on your perspective on the matter). This entry was posted in Articles and tagged #saveourbucks, Andrew Wiggins, Dante Exum, David Stern, draft lottery, Hakeem Olajuwon, Houston Rockets, Jabari Parker, Joel Embiid, Milwaukee Bucks, Patrick Ewing, Ralph Sampson, saveourbucks.com, tanking on February 3, 2014 by SOB Editor.